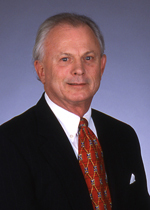 Mr. Zibilich joined Bullock Mannelly Partners in 1995 as a Vice President with the Investment & Finance Team. Michael Zibilich has over thirty years experience in the commercial and multi-family real estate industry with four major New York Stock Exchange companies. He has served as president of several real estate subsidiaries of those organizations and has extensive experience in acquisitions, development, dispositions, management, lending, and workouts. Currently specializing in brokerage, acquisition/disposition and joint venture arrangement of debt and equity for new project development. Since 1996, Mr. Zibilich has directed over $800 million in investment and financial transactions.